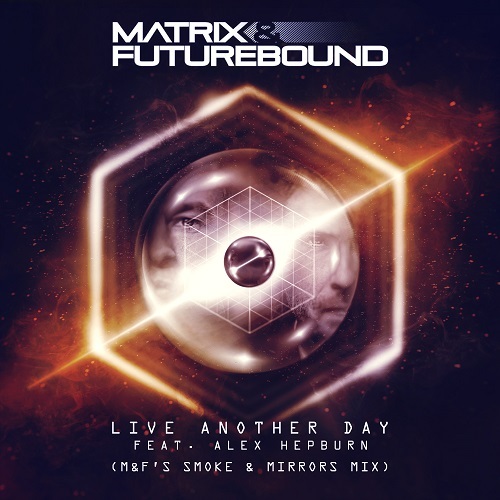 Matrix and Futurebound are adding another gem to their impressive catalogue this month with sizzling new single Live Another Day ft. Alex Hepburn. Following on from their previous release Mystery Machine – which also happens to be the title of their upcoming album – the producers continue to demonstrate exactly why electronic fans should be paying very close attention to the duo in 2018. 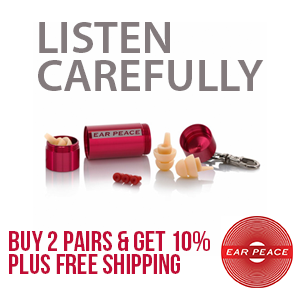 Live Another Day instantly resonates as a particularly melodic take on the classic Matrix & Futurebound sound that fans have come to know and love. Upbeat and euphoric, Live Another Day fuses a soaring melody with stellar synth work, stylishly tied together by impressive vocals from lyricist Alex Hepburn. It wouldn’t be a Matrix & Futurebound track without a dose of the heavy stuff either, as a rolling bassline underpins the track and punchy drums deliver a beat that will satisfy the duo’s bass-loving fans. Always ahead of the curve, it’s only fitting that the duo have enlisted the help of one of Britain’s most compelling singer/songwriters in Alex Hepburn. Unabashedly authentic and always speaking from the heart, it’s Alex’s ability to convoy raw emotion and soul in her music that’s enabled her to pick up a loyal following and tour with the likes of Lianne La Havas, Alex Clare and Bruno Mars. Setting standards in the industry ever since they first collaborated in 2005, Matrix & Futurebound possess one of the most impressive track records in drum and bass history. As the masterminds behind hits such as Control ft. Max Marshall (#7 UK charts/Silver certified), Magnetic Eyes ft. Baby Blue, Happy Alone ft. V Bozeman and Light Us Up ft. Calum Scott, Matrix & Futurebound are hailed as pioneers in the scene – and they’re not slowing down any time soon. With a full-length album set for release in Autumn 2018, the duo prove their worth time and time again with releases that are as infectious as they are unique. Live Another Day ft. Alex Hepburn is out now via Metro/Viper Recordings. Flying into 2018 Matrix & Futurebound are proud to announce their highly awaited second artist album and follow-up to 2007’s classic LP, ‘Universal Truth‘. The new album, entitled, ‘Mystery Machine‘ will be released autumn 2018 and is sure to encompass big singles & the massive crossover moments M&F are known for, along with heavy hitters & pure DNB that firmly positions them as pioneers in their scene. The last 12 months have seen Matrix & Futurebound rolling off 4 singles, including the anthemic, ‘Light Us Up’ featuring Calum Scott (which has clocked up over 6 Million streams), the otherworldly, ‘Human’, featuring rising young singer, Raphaella, Donald Trump (not) endorsed ‘The Wall’, and first track from their forthcoming album, ‘Mystery Machine‘. A specialist radio favourite, the track picked up 7 plays from Rene La Vice on Radio 1 alone. High demand on the remix front, Matrix & Futurebound have recently added their magic touch to Paloma Faith, Demi Lovato and Emeli Sandé’s ‘Breathing Underwater’ – one of the vocal Drum & Bass anthems of the year – closing off the London ’17 NYE fireworks and a firm favourite at BBC Radio 1. The much acclaimed forthcoming Matrix & Futurebound remix of Pendulum, ‘Watercolour’ will be released as part of the band’s Reworks campaign this summer (June). A packed touring schedule sees shows at Creamfields, EXIT Festival, UKF Beunos Aires, Beats For Love, Printworks (w/Pendulum), AudioRiver, Electric Forest, Let It Roll, Bassrush & many more!